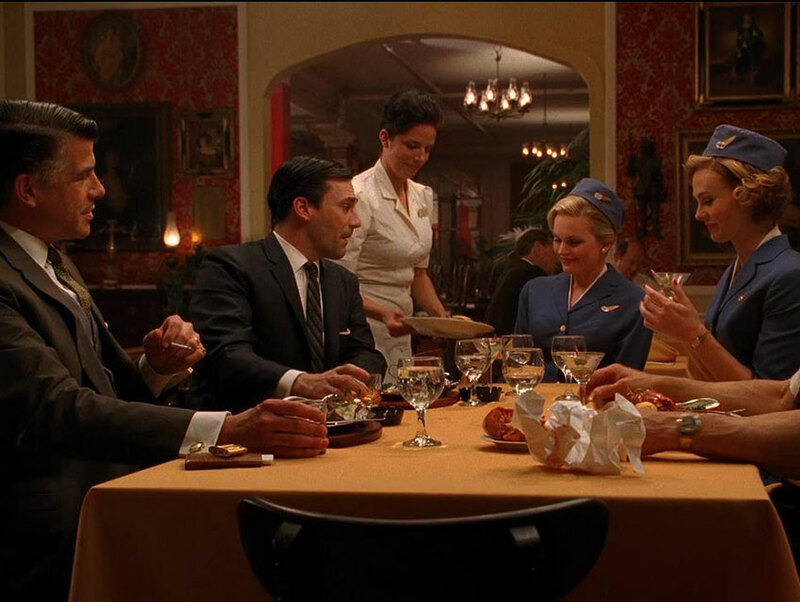 A screen capture from "Mad Men"
After more than four years behind scaffolding, Clifton’s Cafeteria is set to re-open Tuesday at 11 a.m. Restaurateur Andrew Meieran shuttered the 75-year-old site in 2011 for massive renovations. The completed space will house two different eateries, a café, five bars, a retail shop, and much of the kitschy décor that the original cafeteria was famous for. During its heyday, the Clifton’s chain was comprised of 12 outposts dotted across the L.A. landscape. Each featured a different over-the-top décor scheme. The refurbished downtown eatery, which was established in 1939 at 648 South Broadway, is the last that remains. It was named Clifton’s Brookdale and boasted a whimsical woodland theme reportedly admired by luminaries including Walt Disney, David Lynch, and Ray Bradbury. Thanks to its imaginative aesthetic, Clifton’s Brookdale became a favorite of filmmakers. 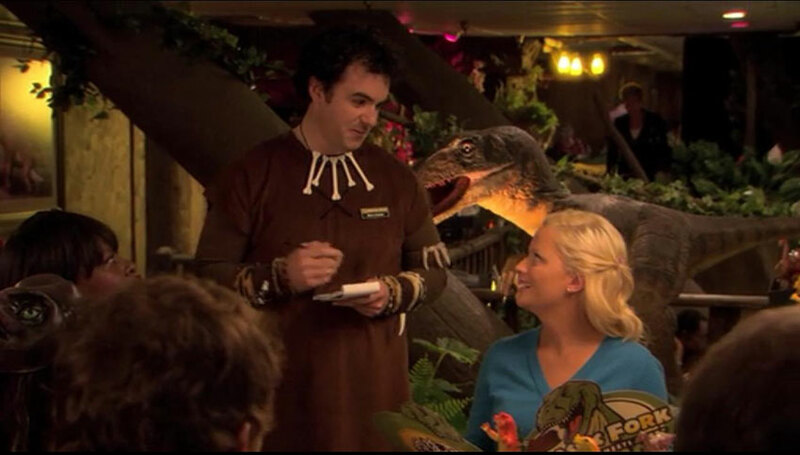 In the Season 2 episode of Parks and Recreation titled “Tom’s Divorce,” it doubles as the dinosaur-themed Jurassic Fork (“Where the only thing that will be extinct is your appetite!”). Leslie Knope (Amy Poehler) and the gang gather at the restaurant to cheer up Tom Haverford (Aziz Ansari) after his divorce. Several large animatronic dinosaur statues were stationed around Clifton’s for the shoot. 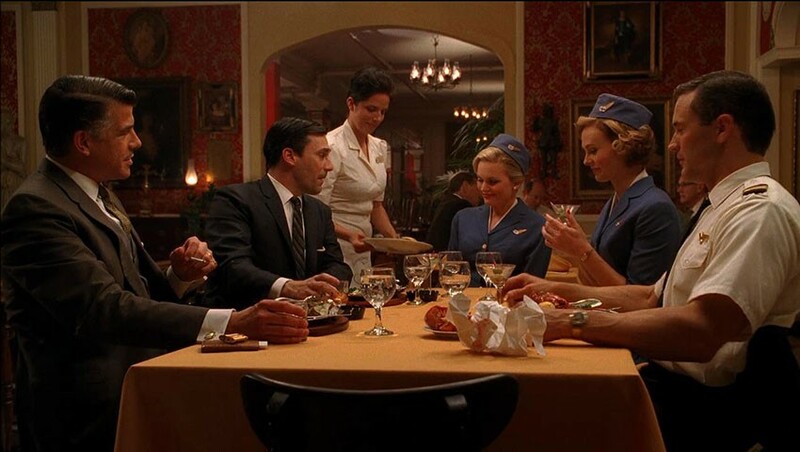 In the Season 3 episode of Mad Men titled “Out of Town,” Clifton’s red-hued third-floor dining room masquerades as Baltimore’s famous Haussner’s Restaurant, where Don Draper (Jon Hamm) spins a yarn about being an FBI agent on the trail of Jimmy Hoffa to impress a stewardess. Brookdale is also where Sergeant Jerry Wooters (Ryan Gosling) defends the honor of Grace Faraday (Emma Stone) by beating up some of Mickey Cohen’s cohorts in the 2013 film Gangster Squad. 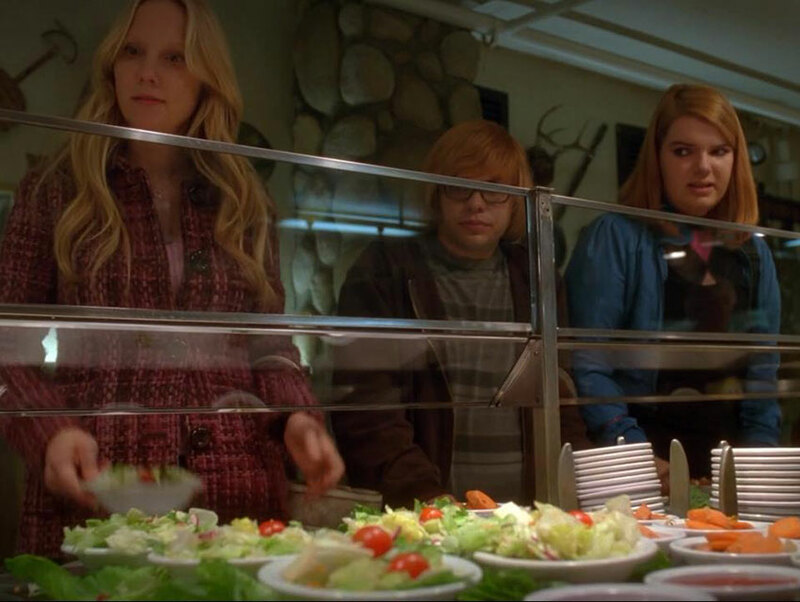 Clifton’s appears as two different spots in the Season 1 episode of Hung titled “Do It, Monkey.” The restaurant’s lower level and cafeteria counter are disguised as a “$3.99 buffet” where Jessica Haxon (Anne Heche) and her family eat imitation crab meat. The third floor dining area pops up later in the episode as the spot where Tanya Skagle (Jane Adams) grabs a bite to eat with her teacher, Floyd (Steve Hytner), and discovers that he’s a fraud. A different Clifton’s outpost, the former Clifton’s Silver Spoon at 515 West 7th Street in downtown L.A., was used in the movie Fight Club. It is in that site’s wood-paneled dining room that The Narrator (Edward Norton) tries to warn Marla Singer (Helena Bonham Carter) that her life is in danger. Although the restaurant Mas Malo now occupies the location it looks much the same as it did onscreen in 2005. Interestingly, when Marla and The Narrator leave the restaurant in the Fight Club scene, they are shown exiting a building at 325 West 8th Street. Clifton’s Cafeteria signage was attached to the exterior of the building and its doors for the shoot. In reality, a Clifton’s outpost was never located in that spot. If the post-renovation photographs that have been released are any indication, the remodeled Clifton’s will prove as magical as ever and is sure to become a favorite location of the filmmakers of tomorrow.